Ready To Go When You Are Four Styles to Choose from to Meet Every Family's Budget Dutchmen Sport Dutchmen Sport HALF-TON TOWABLE features the industry’s best selling floor plans that are loaded with features and value at economical prices.  Compare our features, and we are sure you will agree-the Dutchmen Sport is your best value! Dutchmen Lite Aerodynamic HALF-TON TOWABLE and easy-to-tow. Dutchmen Lite models feature our industry leading Galley Slide design which adds valuable living space without adding the extra weight! Dutchmen Classic Dutchmen Classic travel trailers are your best choice for features, value and luxury. Dutchmen Classic travel trailers are loaded with features and amenities that make your time on the road as enjoyable as your time at home. 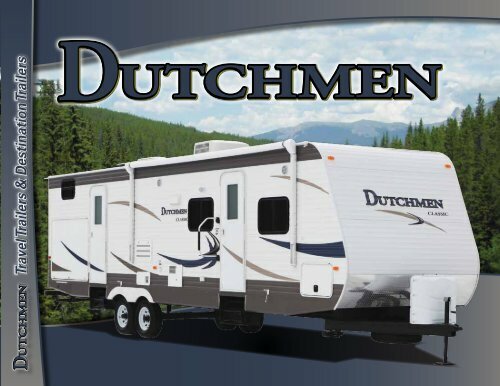 All Dutchmen Classic trailers feature large, super-slide rooms and are available in a wide range of exciting floor plan options. Look for the Dutchmen Difference logo throughout this brochure for industry leading features and innovations that make Dutchmen your best value! Designed to withstand extreme weather changes-excessive cold or heat. Plus it is more durable than any other vinyl floor. Beauflor ® Flooring Dutchmen Classic 315BHDS in Burdock Bark Destination Trailers Dutchmen Destination trailers feature larger residential appliances, including a 110V refrigerator, larger oven, 6 gallon Gas/Electric/DSI water heater and a large sliding glass patio door!